The first was released last month by the investigators of the Cycling International Report Commission (CIRI). They examined the actions of Union Cycliste Internationale (UCI) who govern elite cycling. We know their names and their addresses; yet comparatively little action is spent stopping them. When there is action, like the Spanish police investigation on the Madrid doctor who allegedly provided drugs for hundreds of top-level Spanish athletes, his client list was never revealed. This allowed many top athletes to escape punishment or even embarrassment. Page 253, The Insider’s Guide to Fixing. The final issue is the use of noble language and postures by the very people engaged in corruption. A whole generation of the ‘good guys’ in the anti-doping war were deliberately sidelined by an establishment, some of whom were complicit with dopers. The one person who emerges from the CIRI report with absolute credibility is Richard Pound, the former President of the World Anti-Doping Agency (WADA). In the long, sorry story of anti-doping efforts in cycling he was correct in almost everything that he said. Yet the UCI tried very hard to discredit Pound (they also sued him for libel). They even commissioned an “independent report” into Lance Armstrong after Pound suggested an investigation into Armstrong. However, when writing the “independent report” the UCI actually got Lance Armstrong’s lawyer to help shape it. The authors of the CIRI report write about the need for privacy and chastise WADA and their American counterparts USADA for publicly attacking UCI and/or leaking information to the media. The CIRI report claims that the critics should have taken their problem to a higher, competent authority in the sports world. And which organization would that have been? Sadly, their own report shows that there few credible institution in sports ready to take anti-doping seriously. This week, the Turkish Super League was suspended for a week after an attack on the Fenerbahce bus as it drove through the city of Trabzon. 1) The attack was a disgrace. The bus was shot at and the driver seriously injured. This is not football, but attempted murder. 2) The attack was an incident waiting to happen. Three courts have found that elements of the Fenerbahce management stole the Turkish Super League championship of 2011 in a long process of match-fixing. The court’s findings were backed up by UEFA and the Council for the Arbitration of Sport. Since those decisions Trabzon has been a nest of anger against what fans regard as the Fenerbahce control of Turkish football, politics and the commercial establishment of the country. 3) After the courts’ decisions on fixing, the entire Turkish Super League should have been shut down until it was cleaned up properly. The only credible defense Fenerbahce fans have ever mounted was that their management’s fixing was just about the average way of doing business in Turkish sport. 4) Turkish football is a sad soap opera. There is so much corruption you do not know whether you should laugh or cry. It is so bad that FIF Pro – the football players union – tells its members not to play in the country. No angry speeches, no guns being fired will change this sad situation. 5) The only way to restore any credibility to Turkish football – or Greek football – or Bulgarian football – or Serbian football: all of whom suffer from the same conditions – monstrous amounts of corruption, falling attendances in most of the teams and numerous unpaid players’ salaries – is to form, with UEFA’s permission, a pan-Balkan league. It would run in the following way. The top four teams of Turkey (on April 7, 2015 they would be) Fenerbahce, Galatasaray, Besiktas, Bursaspor. The top three teams of Greece (on April 7, 2015 they would be) Olympiakos, Panathinaikos, PAOK Salonika. The top two teams in Bulgaria (on April 7, 2015 they would be) Ludogorets and CSKA Sofia. The top two teams in Serbia (on April 7, 2015 they would be) Partizan Belgrade and Crvena Zvezda. The top two teams in Croatia (on April 7, 2015 they would be) Dinamo Zagreb and Rijeka. The top two teams in Rumania (on April 7, 2015 they would be) Steaua Bucuresti and ASA Targu-Mures. All television revenue in the league would be shared equally between these teams. Each year, three teams would be relegated, regardless of country. Each year, there would be a mini-tournament in June where the top teams in each country play each other to replace the three teams that were relegated. All referees would be well-paid foreigners. There would be no fixing in such a league. Every match would be a replay of 1389 or 1453 or 1990 – or choose the relevant historical date – which still echo in the region. To have such a league would save football in Turkey and stop the on-going embarrassment of Fenerbahce and similar, dreadful incidents of violence as we saw in Trabzon. Funny thing is, there was evidence that Trabzonspor were involved in making incentive payments but yet the evidence against them were swept under the rug. The court system in Turkey, before the December 2013 graft investigations, were under the influence of the Islamic based Gulen Movement. This has never been denied in Turkey. The case is now being reexamined. The case had the same patterns as the Ergenenkon and Balyoz (Sledgehammer) cases. I don’t know if you’ve heard, but the defendants in the Balyoz case were in fact released and their charges were dropped due to fabricated evidence. Considering the exact same patterns were seen in the match fixing case, one would think that the match fixing case will have the same results. Fenerbahce fans have NEVER made the defense that “their management’s fixing was just about the average way of doing business in Turkish sport.” If you had bothered to watch the games, the opponents who played Fenerbahce, played Trabzonspor two weeks later. All those opponents who played Fener played hard, and dogged it against Trabzonspor two weeks later. There are players who were interviewed on TV that said (on the record I might add) that they were playing for Trabzon. The Sivasspor chairman admitted on the record that Trabzonspor were about to pay Sivasspor an incentive payment to play hard against Fenerbahce. The UEFA decisions were basically the result of lobbying on behalf of Trabzonspor. The basic premise they thought was that if the TFF is part of UEFA, and UEFA made this ruling, the TFF would have to change their decision. They didn’t know about the autonomy of organizations. This statement of “Trabzon has been a nest of anger against what fans regard as the Fenerbahce control of Turkish football, politics and the commercial establishment of the country” is pretty much laughable. If Fener were in control of Turkish football, then why have their rivals Galatasaray won two out of the last three league titles (and most likely will win this season, although it probably isn’t of legitimate means)? You’d think Fener would be winning more titles during that span no? I’m of the belief that the TFF will never let Fener win the league title for the near future. As for the politics, Trabzonspor have been the beneficiaries of AKP state aid before and probably has had state aid. This comes off as the anti-Fener fans getting in your head, I thought you were better than this. Speaking of match fixing, a few weeks ago Galatasaray was playing Kasimpasa. Kasimpasa was up 2-0 at halftime. The halftime break took 10 minutes longer than is permitted, and Galatasaray scored three goals within the span of the first 15 minutes of the second half. The two comeback goals to level the score were the result of attacks from the left flank. The right back for Kasimpasa, Veysel Sari, just happened to be transferred to Kasimpasa from Galatasaray last summer, and he looked to be playing lazily and allowing Galatasaray to have opportunities to score. In the 87th minute of said game, Sari was subbed out, to boos from the Kasimpasa crowd for dogging it (and they thought he threw the game). At that same time, Galatasaray board member Abdurrahim Albayrak was having palpitations and was faint. He wasn’t taken to the hospital, but the next day there was a picture circulated through social media and he was fine. Already there have been fixing allegations of that game. Were there investigations? Of course not. Some teams in Turkey are allowed to fix matches it seems. Another question for you. Back in late January, Trabzonspor chairman Ibrahim Haciosmanoglu admitted (on the record) that he had telephoned the referee a few days before Trabzonspor were set to play Fenerbahce. The match ended in a 0-0 draw. The guy flat out admitted that he called a referee. Isn’t this the attempt to manipulate the result (or an attempted fix) of a match at the very least? 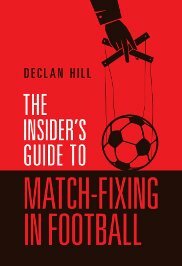 The match fixing case in 2011 was very odd from the get go. But since then the environment of football in Turkey is that some can have matches manipulated and others can play fairly but not be allowed to compete for trophies because they aren’t favored by the establishment. Let’s face it, the case was bogus, but there have been many people who have tried to make this out into a blood feud. There were people who in fact were supporting the shooters. If people died, they probably would celebrate it because the “match fixers” got their due. This is the state of fandom in Turkey. 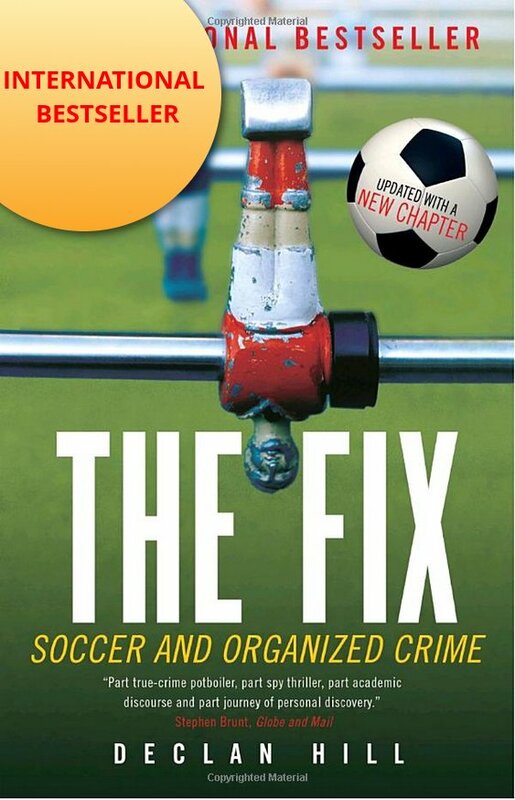 Match fixing is a far worse crime than murder in Turkey. That is tragic. What would happen if the charges were dropped in the retrial of the fixing case? I wonder what you would say? Why would Romania be in the Balkan league? why would Bosnia/Albania/Macedonia not? Good thought – however, the leagues in these countries are simply too small to compete over a long season with the top Greek/Turkish/Serbian teams etc. Rumania and Bulgaria have, roughly, equivalent histories and therefore the chances of fixing against teams from other countries is low. The idea is to replicate one of the best afternoons that I have ever had in Turkey. Jammed into a pal’s small tea cafe in central Ankara. Watching a Fener vs. Cim Bom Bom game. The place was packed. If we can create a similar atmosphere every week the league would rival the English or Germany leagues in a few years (after all what player would not want to play in such games?). The resources would rise as the attention was drawn from around the world – and corruption would be greatly hindered. Do check out all the evidence – transcripts, etc. It is a shocking tale of corruption. BTW, you keep repeating accusations that I am pro-Trabzon. I am not. I am pro-clean Turkish football. The sport is a national embarrassment. Sadly, the Fener case seems to be dragging the country into a deeper mess. I like Turkey a great deal so it is very sad to have to write these things. I keep hoping that a sporting Kemal Ataturk will come along to save it. However, it does not seem it will happen. Sad. Very sad. « Oscars and Racism in the U.S.